Miss Berry tells Mr. Stone that he could come by now and paint the portrait for $500, and that that she will let him stay at Berry so he does not have to worry about boarding expenses. 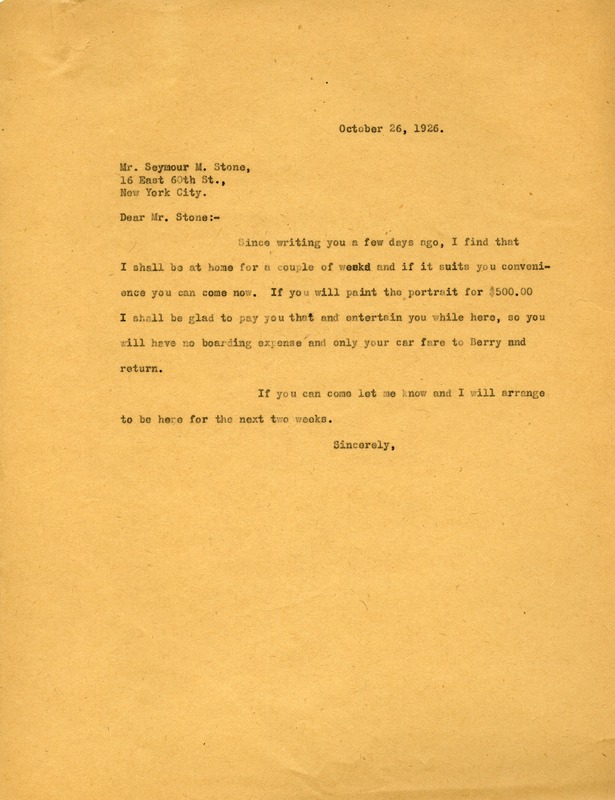 Miss Martha Berry, “Letter to Seymour M. Stone from Martha Berry.” Martha Berry Digital Archive. Eds. Schlitz, Stephanie A., Rachel Renaud, et al. Mount Berry: Berry College, 2012. accessed April 26, 2019, https://mbda.berry.edu/items/show/5880.